A working-class family man, Christopher Robin, encounters his childhood friend Winnie-the-Pooh, who helps him to rediscover the joys of life. Rated PG – 104 minutes. 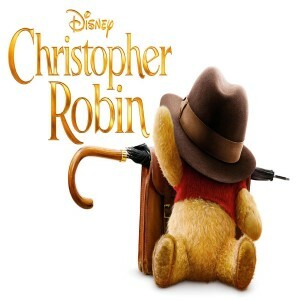 Christopher Robin (2018) A working-class family man, Christopher Robin, encounters his childhood friend Winnie-the-Pooh, who helps him to rediscover the joys of life. Rated PG – 104 minutes.